To the Future: What do driverless cars mean for road design? By Morgan Abbott, P.E., SEH, Inc.
Driverless cars bring new ways of designing roads and, perhaps, new ways of living. Imagine telling your parents when they were your age that they would be able to start their car from 100 feet away with the push of a button. Or that they didn’t have to worry about parallel parking because sensors in their car would do it for them. Or that an internet search company had enlisted a fleet of semi-autonomous cars to take pictures of roads around the world, pictures they could view from their handheld device. They would tell you it is the stuff of an episode of The Jetsons or Star Trek. And they’d be right. Similarly, getting a grip on driverless cars, and how they might affect our lives, is difficult. Even if you expect the change, unpredictability can be distressing. Truth is, many cities aren’t prepared for transportation innovations on the horizon. So, whether in four or 40 years, it’s important we begin planning for the challenges and possibilities driverless technology might bring. First, a look at how driverless cars work. A few essential technological systems make driverless cars possible. Today, whether in the new E-class Mercedes or snow plows in Alaska, these systems work together in fundamentally similar ways — even if the individual technology, or combinations of technologies, vary. The first is a system for general navigation. The GPS system, accurate to within a few centimeters of a road, provides the overall direction of the vehicle. The second is a system of sensors, radars or cameras to recognize dynamic conditions — stopped cars, road construction, bikers and pedestrians. The third system, a brain of sorts, aggregates all the data collected from the mix of navigation systems, sensors, cameras and provides action for the car. Finally, we should recognize the probability that, someday, most objects (including cars) will be connected to what’s called the Internet of Things. 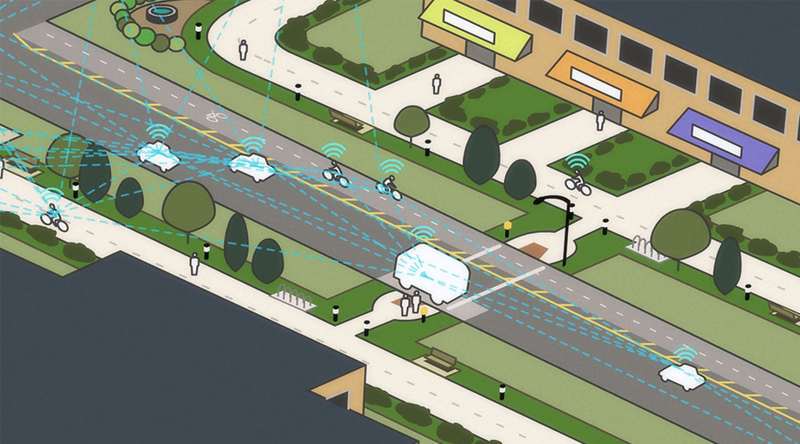 Cars, trucks, intersections, bicycles and more will be able to “speak” to one another, as a recent MIT video illustrates. Combined, these technologies have significant bearing on what designs of driverless roads must accommodate. 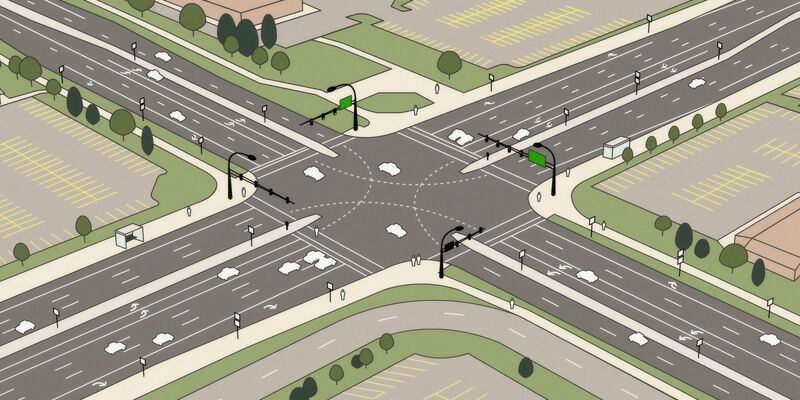 Before diving into a driverless road design, let’s first examine a current road and intersection. Pictured below is a common style found outside of many metro areas: a four-lane with a six-lane divided urban highway. A four-lane and six-lane divided urban highway found near many metro areas. 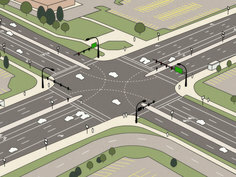 The roadway and intersection, for the most part, are designed to move cars and trucks. Timed signals guide cars safely along the corridor, which is designed to accommodate peak congestion hours. There are separate, dedicated turn lanes — each with their own markings — making a total of nine lanes, and measuring approximately 140 feet wide. As a result, and in order to accommodate pedestrians, refuge spots exist in the middle of each road for pedestrians who cannot make it completely across in one signal phase. Land surrounding the road is used largely for parking lots, which accommodate drivers visiting area stores and restaurants. At bottom, there is a frontage road for local access. What happens when we redesign this same road for driverless cars? Interesting things happen to a road when we fast-forward to the future and incorporate a few of the anticipated capabilities of driverless cars into a redesign. The most obvious difference, at first look, is a significantly reduced footprint. Designing for driverless cars could mean much narrower roads with fewer signs, less pavement and, potentially, less maintenance. Initially, a narrower road seems illogical. The same volume of traffic should still demand a wide roadway, right? That might not be true. Here’s why: If driverless cars have the predicted efficacies over current drivers (no human error), the same traffic volumes could flow through a narrower roadway designed with narrower lanes and fewer of them. In fact, lanes needn’t be much wider than a delivery truck. 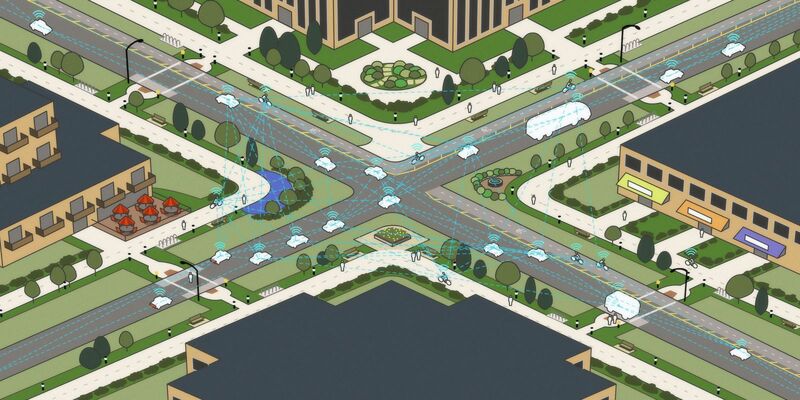 When we can rely on vehicle sensors and interconnectivity, we don't need all the visual cues — road striping and signage — that human drivers need to navigate the roadway and intersection. Also, see that the pedestrian crossings are moved away from the intersection. Today, for safety reasons, most pedestrian facilities exist at controlled intersections. This, however, can require an average pedestrian to walk extra blocks to get to their destination. Since signalization is not necessary with driverless cars, pedestrian crosswalks can be placed wherever it is most sensible for foot traffic. With algorithms, GPS and complex computers replacing road signs, traffic signals and cell phones, an unprecedented intermodal efficiency becomes possible. An efficiency that could significantly affect not only how we move, but also how we live. Goodbye, parking lots? Driverless cars could change not only how we move, but how we live. Driverless roads could have profound effects on surrounding land use and parcels. With fleets of driverless cars operating like a modern transit system, able to pick up and drop off passengers 24 hours a day, parking lots could become obsolete. The land, then, becomes available for any number of uses. With car, truck and transit connected to the Internet of Things, pedestrians and bicycles would play a larger role in corridor design. Roadways that have become more pedestrian-oriented (as we see in Europe) tend to prompt more mixed-use, walkable development. What might this mean for transportation projects? At a project level, we can imagine far fewer road expansion projects and, with less pavement, a decrease in typical roadway maintenance — the result of fewer lights, less pavement and no pavement markings. Signs would exist largely for pedestrians. The cost-savings on the maintenance side, however, would be balanced by the costs of the technology. Especially in the beginning. More funding will be needed to install and support high-tech roadways, which might include digital technology in the pavement, sensored lights and other digital components. That’s all in the future. What can we do now? 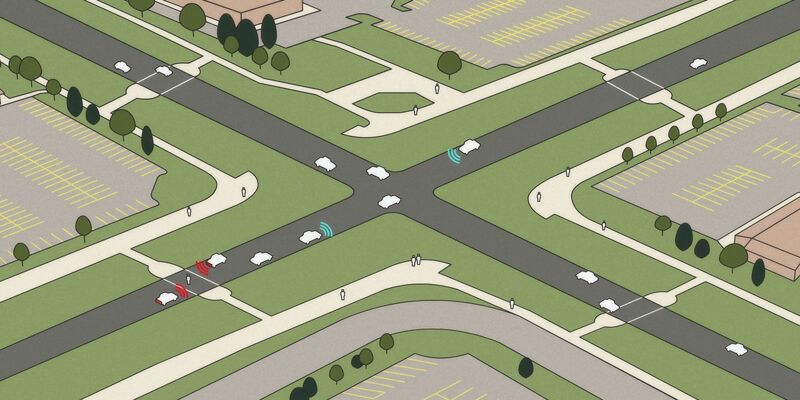 Start planning corridors for a more equitable mix of modes. It’ll start positioning your transportation infrastructure for what’s coming. If you are planning to redevelop corridors in the near future, you’ll want to be proactive about redistributing your attention from vehicles to a more balanced mix of other modes, like walking and biking. Much needs to be solved, or resolved, before driverless technology hits the streets. Laws are one challenge. For example, who has power to make policy — state or federal? If the states are handling it, where do jurisdictions begin and end? This challenge is not a new one, in fact, it was a growing pain experienced by the railroad industry in its beginnings. Inclement weather is another hurdle. So far, the technology making driverless cars possible doesn’t perform well in snow, fog or heavy rain. Extreme temperatures pose another challenge. Significant strides are required for driverless cars to gain a tire-hold in Northern climates. Finally, and perhaps most importantly, is the matter of funding. As a nation, we already have difficulty meeting the short-term maintenance needs of our transportation infrastructure, how would this technological infrastructure be paid for? Time will tell how well we negotiate this technology. For example, how will driverless cars impact design of our cities, communities and neighborhoods? What does the future look like for urban versus rural areas? How will this technology impact our lives? Do driverless cars translate to fewer road deaths? Planning, particularly when talking about the future growth and development of transportation communities, gets described sometimes as looking into a “crystal ball.” But we need to start being more realistic about how driverless cars might impact the transportation system and communities. And we in the transportation community need to start having these conversations, and start planning for a future Jetson-like world. Otherwise, we won’t be able to take full advantage of major advancements in technology. I say, the future starts now. 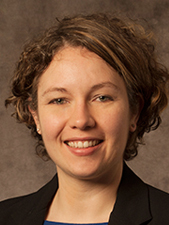 Morgan Abbott, PE, is a highway designer and mother, passionate about preparing the world for the next generation.